From left to right: Sheri Butler, Jenny Gentry and Connie Bryant with Wells Fargo; Rachel Cunningham, Gray Nolan and Shawn Smitley with Mercy Housing Southeast; and Sister Margaret Beatty with St. Joseph’s/Candler. Wells Fargo is helping Savannah Gardens residents achieve a goal that many people have – to get in control of their finances. Mercy Housing provides free, onsite programs to help residents improve their lives, in areas including financial literacy and economic development. Wells Fargo has given $5,000 to support that work so that Savannah Gardens’ 300 some residents will have access to financial education. In addition, Wells Fargo has provided residents with its best-in-class financial education curriculum, Hands On Banking. “If people don’t know how to live within a budget or save, they will never be able to secure their financial footing,” said Jenny Gentry, Savannah business banking manager and market president for Wells Fargo. “We are proud to support Mercy Housing’s efforts to educate their residents and help them improve their financial situations.” Mercy Housing serves families and seniors earning less than 60% of the area median income. The non-profit provides required and optional activities for residents, offering incentives and measuring progress to ensure that they reach their goals of becoming financially stable. 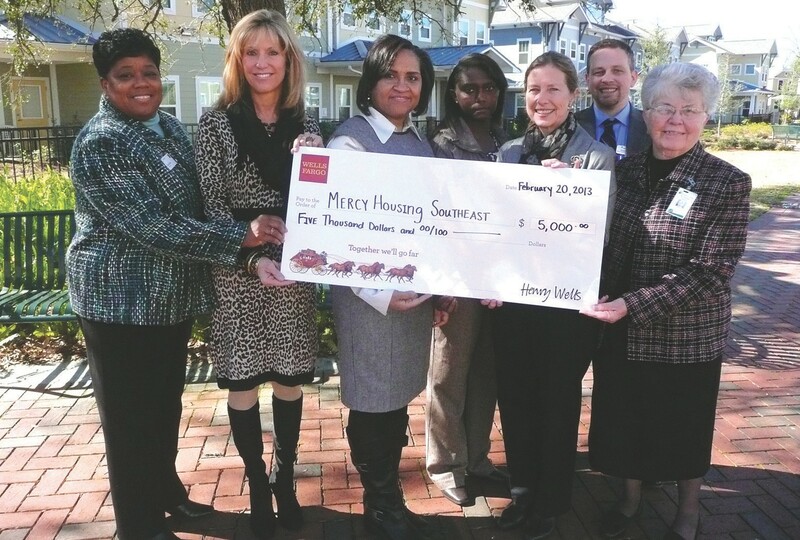 “Thanks to Wells Fargo’s support, our residents will have the opportunity to build their financial skill set,” said Jane Graf, president of Mercy Housing Inc.
For more information about Mercy Housing Southeast, please visit www.mercyhousingsoutheast.org.